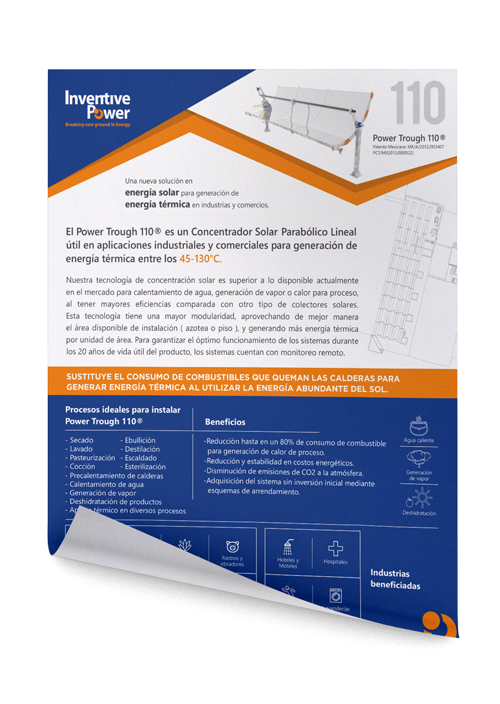 Power Trough 110 ® is a linear parabolic solar collector that generates thermal energy for industrial or commercial applications where large amounts of hot water, steam or heat input are required at a much lower cost than generating them with gas, diesel or fuel oil. 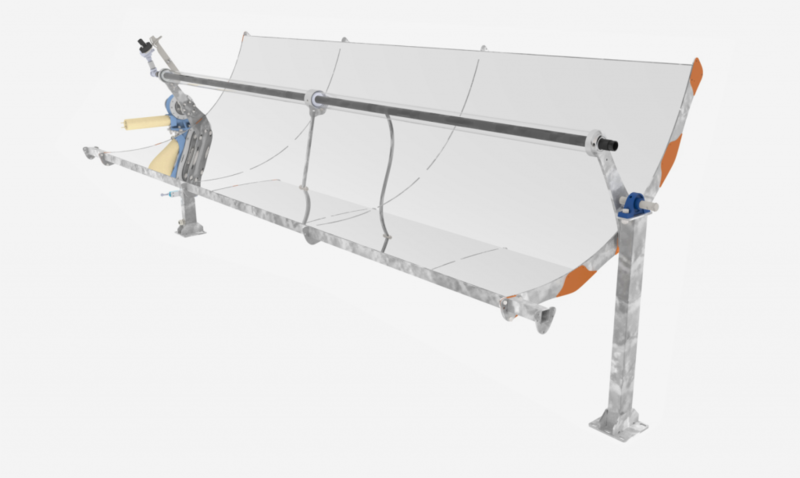 Our solar technology is superior to similar products currently available on the market, since it generates higher temperature contribution (45-130°C) and has a higher efficiency, compared to other types of solar collectors. It also has a better modular design to make the most of the available area, generating more heat per area unit. Power Trough 110 ® fits to a wider range of projects, from small to large industries, providing great flexibility and easiness of installation on roof or at ground level. 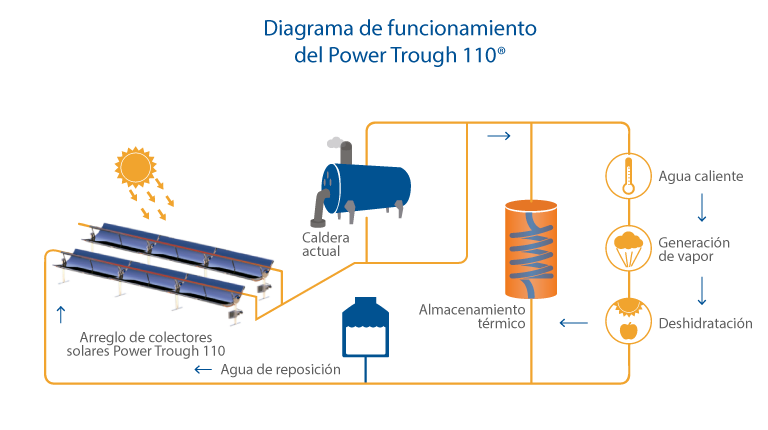 Power Trough 110 ® consists of a highly reflective surface, channel shaped, that directs all sun’s rays that fall on it to a receiver tube, through which a liquid flows, which absorbs all the collected energy.